For over 75 years, the name Bosch on household appliances has stood for expert development, technical quality and reliability. The new Bosch Series 8, which was granted the 2015 German Design Award, features 21 new technologies that will make hosting your next dinner party a breeze. Carefully designed, produced and tested by 130 expert engineers, as well as feedback from over 7,000 customers to meet the highest standard in quality, performance and convenience. True to Bosch's iconic user-interface design, the Series 8 Ovens are precisely-contoured with full metal surfaces, and built with a high resolution and interactive display. All the ovens are embellished with glass touch buttons, embossed icon buttons and brushed stainless steel integrated control rings. 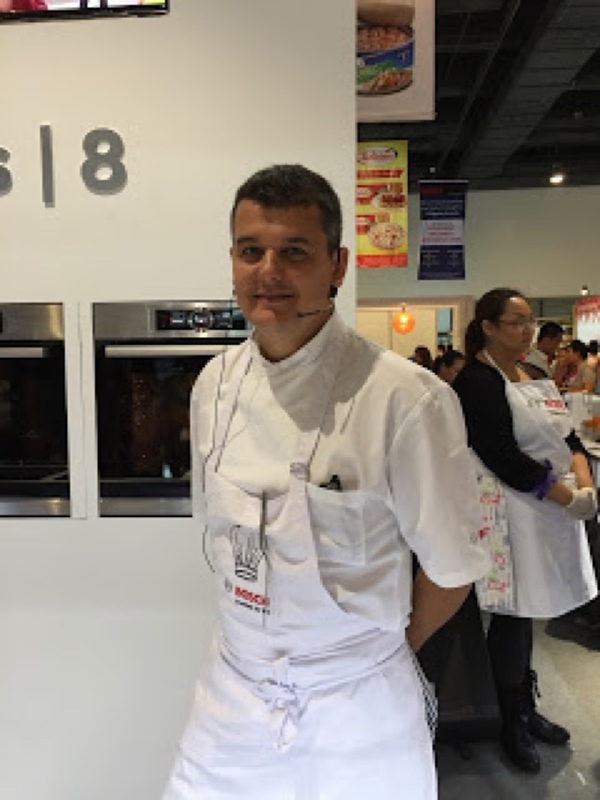 During the launch of this remarkable cooking range held at WOFEX 2015, Chef Jean-Charles Dubois from the famed Balzac Brassiere and Bar in Singapore specially flown in from Singapore and demonstrated the unique functions and ability of Series 8. Equipped with highly-sophisticated sensors, the ovens will automatically make the necessary adjustments. Exclusive and newly-developed 4D hot air technology ensures even heat distribution for well-balanced cooking results. 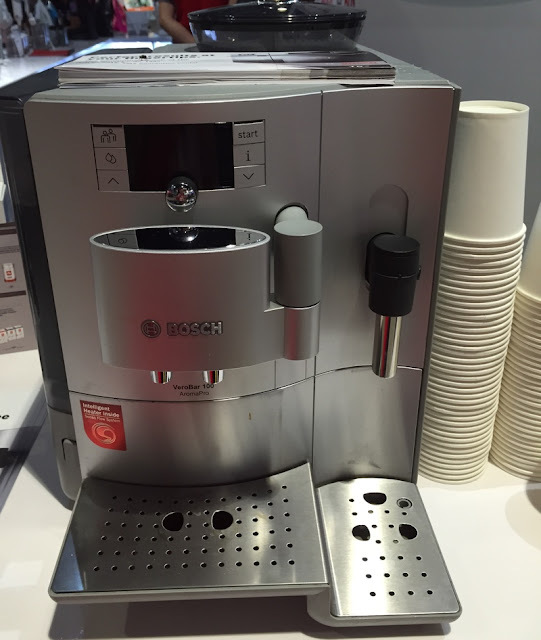 A product of German ingenuity, Bosch has integrated 4D hot air technology with a new steam injection function. Meat dishes roasted with hot air and steam become crispy on the outside and succulent on the inside. Baking in combination with steam is also great for making shiny breadcrusts. Can also be used to steam vegetables and fish in the traditional way. The integrated microwave feature can also reduce cooking time of dishes by up to 50 percent, should food not be cooked quick enough. With the fuss-free PerfectBake sensor, moisture levels are regulated in the oven cavity for an even bake. Upon selecting the desired bake-type, the oven automatically sets the ideal heating mode, temperature and duration. 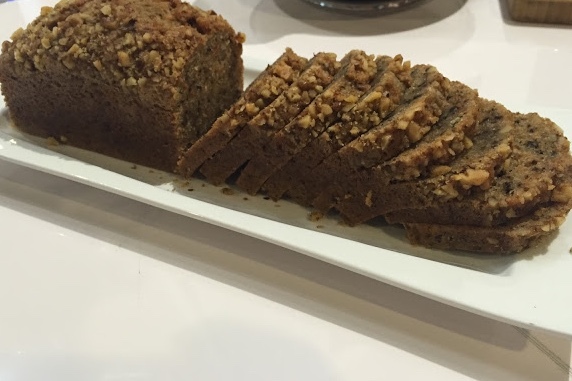 Underbaked or burnt cakes will now be a thing of the past. 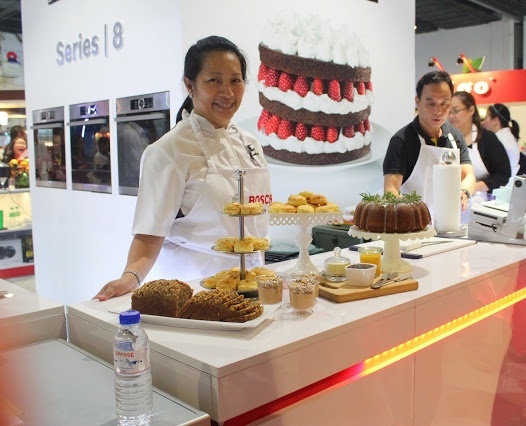 I also watched Chef Jill Sandique shared some of her yummy recipes using the Bosch Series 8 Oven and other Bosch appliances. 1. Preheat BOSCH OVEN to 200 C. Line a half sheet pan with parchment paper. Set aside. 2. In the bowl of a BOSCH FOOD PROCESSOR, put together all-purpose flour, baking powder, salt nutmeg and black pepper. Pulse for a few seconds then add the butter. 3. In a small bowl, beat together the eggs and heavy cream. Blend well. Toss into the flour-cheese mixture. 4. Knead lightly then form into a disk, about one inch-thick. Using a floured cutter, cut into two inch-rounds. 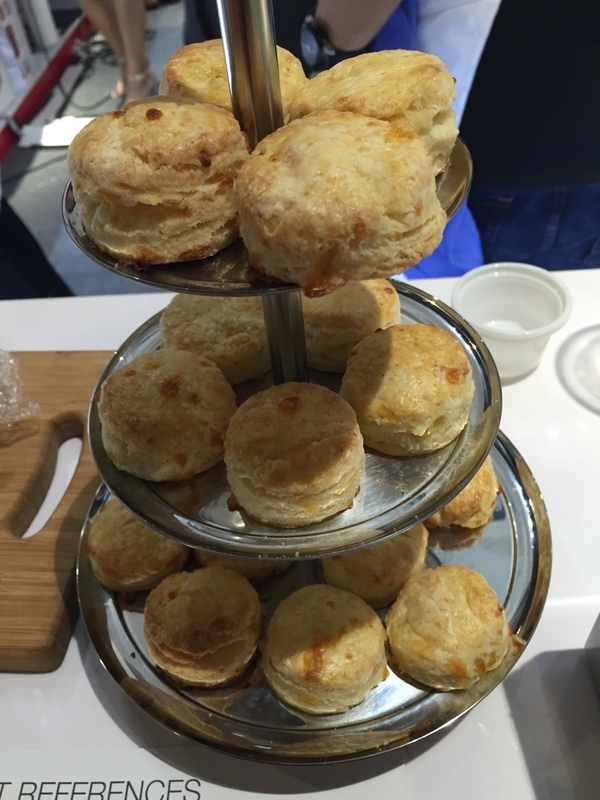 Arrange unbaked scones on prepared pan. Brush top with milk or egg wash, then sprinkle with paprika. If desired. 5. Bake for 20 minutes or until done. Remove from pan. Serve immediately or at room temperature. 1. Preheat BOSCH OVEN to 178 C. Grease and flour a large bunt pan. Set aside. 3. Attach the paddle into a BOSCH MUM MIXER. Cream together butter, sugar, and orange zest at medium speed until light. Add the chopped herbs. Mix for a few seconds then scrape the bottom and sides of bowl. Add the eggs, one at a time, beating well after each addition. 4. Alternately add the dry ingredients and heavy cream to the creamed butter mixture. Blend well. Fold in the berries. 5. Pour batter into prepared bundt pan and bake for 50 minutes or until toothpick inserted into the cake comes out clean. Remove from oven and cool for 10 minutes. Invert cake onto a cake rack an cool completely. 6. 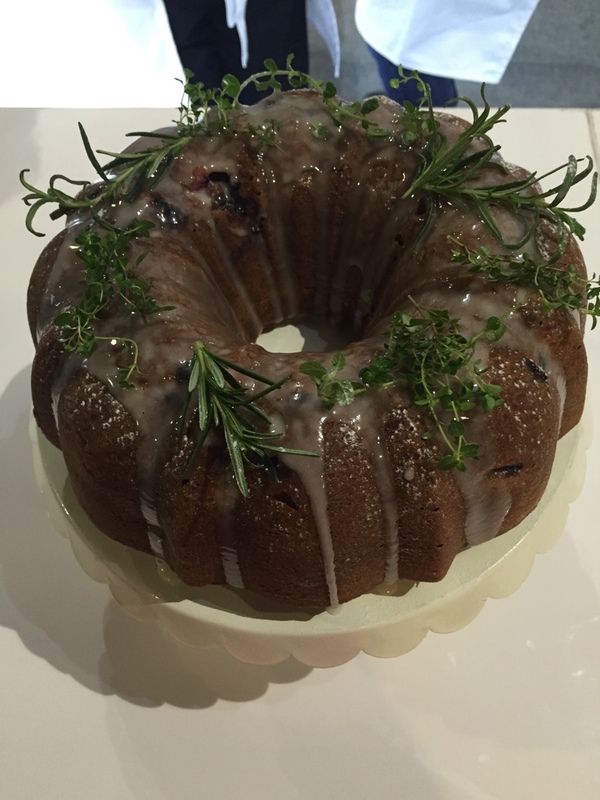 Glaze and garnish with orange segments, berries and fresh herbs. 1 to 2 tablespoons fresh orange juice, or more. In a small bowl, mix together confectioner's sugar and orange juice. Drizzle over cooled cake. 1 1/2 cups walnuts or pecans, coarsely chopped. 1. Preheat the BOSCH OVEN to 178 C. Grease and line a large loaf pan (or 3 small loaf pans) with parchment paper. Set aside. 2. 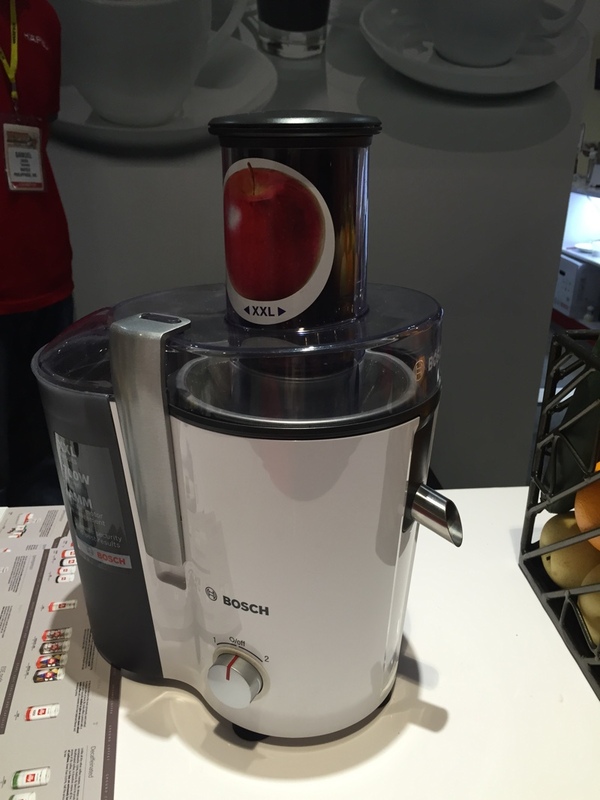 Attach the shredder/grater blade into a BOSCH FOOD PROCESSOR. Process the zucchini and carrots into fine shreds. Set aside briefly. 4. In a bowl, put together eggs, granulated sugar, brown sugar, oil and vanilla. Using a BOSCH HAND BLENDER, mix together just until combined. Add the liquid to the sifted dry ingredients and blend well. 5. Fold in the shredded zucchini and carrots. Add half of the chopped nuts and mix well. Pour batter into prepared loaf pan(s). Top with the remaining nuts. 6. Bake for 40 minutes or until a toothpick inserted into the center of the cake comes out clean. 7. Remove cake from the oven. Leave in the pan for 10 minutes then invert onto a cooling rack. Cool completely. Every delectable dishes is now a success with the all-new Bosch Series 8 ovens, with minimal effort needed. The Bosch Series 8 range will definitely suit the cooking needs of everyone. Microwaving, steaming, roasting and baking are now achievable in one oven. 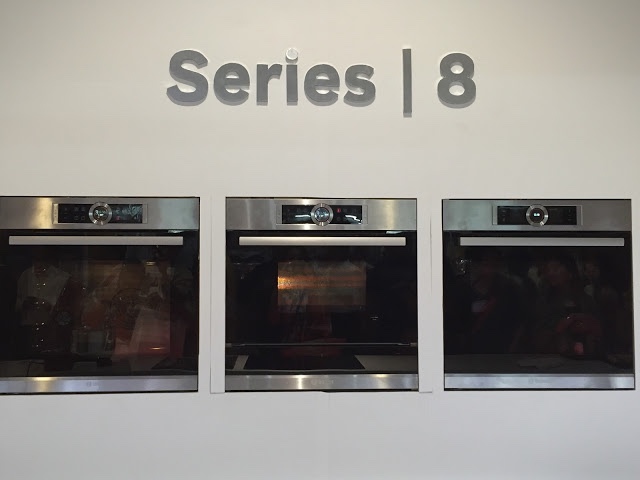 The Bosch Series 8 Ovens are available through Hafele Philippines Inc. and selected Hafele partners until August 31, 2015.